Sanctified Grumblers write and play acoustic music in the vein of the old blues, jug band, and old timey traditions with a sprinkling of New Orleans rhythms. 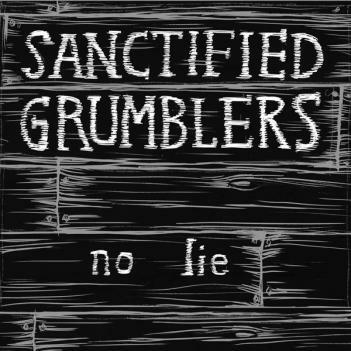 Sanctified Grumblers write and play acoustic music in the vein of the old blues, jug band, and old timey traditions with a sprinkling of New Orleans rhythms. The trio was formed by Chicago musicians Rick Cookin’ Sherry, founder of Devil in a Woodpile and uber-picker Eric Noden. Their music succeeds in the challenge of combining the sounds of music’s pre-electric past with the narration of modern universal themes; tales of love, communication break-downs, and good time grooves. Between Noden and Sherry, Sanctified Grumblers’ sound is formed from a mesh of finger picking resonator guitar, washboard, harmonica, 6-string banjo, and clarinet. The trio’s third musical leg is alternated between the dog-house bass of Texas ex-patriot Beau Sample and the sousaphone of Mike Hogg. Special guests include Jim Becker (Califone and Iron & Wine) as well as Jazz drummer/composer Mike Reed. Tom V. Ray ( original bassist of Devil in a Woodpile and The Bottle Rockets, currently with Neko Case) plays banjo and uke on the CD and contributed 2 of his own tunes to the project. The resulting songs mix the same manic style of 1930s jug band music, old-country and early jazz filtered through the lens of two modern songwriters, creating the good-time sonic ruckus of Sanctified Grumblers. Their music succeeds in the challenge of combining the sounds of music’s pre-electric past with the narration of modern universal themes; tales of love, communication break-downs, and good time grooves. Tales of boozin', ramblin', grindin' stumps, bein' mean, bein' treated mean, sawin' logs, more boozin' and many other appropriately apostrophed acts of rural, old-timey blues badassery make up No Lie. In short, this is a band to vie for the late-night set on the front porch in busker heaven. Lineup of harmonica, standup bass, National Steel, washboard and tuba plants the musical acorns that have sprouted into the mighty oaks of American music. It is the music of back porches on hot summer nights, staring down a baking section of dirt road, and of getting crocked on the homemade stuff. It's all here.